Launched officially on April 15th at Porto Venere, one of the most beautiful villages of the Golf of Poets in Liguria, the following stages of the Championship took place in two gorgeous towns of the Argentario area near Grosseto in Tuscany: Porto Ercole and Talamone. 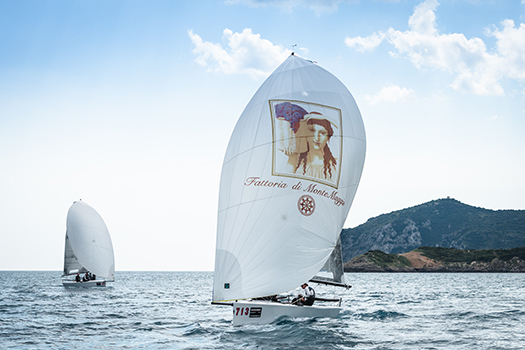 This weekend, the next stage of the Melges 20 Championship will be held in Talamone, while the grand finale is in Scarlino in Tuscany at the end of August. See the calendar of the next Melges 20 competitions below. For more information about our winery and organic wines, such as Chianti Classico, Chardonnay, Rosé and other products and events click here.